Africa meets Africa: Ndebele Women designing Identity focuses on the history and visual cultural expression of the Ndzundza and Manala Ndebele. In this project we have explored the knowledge contained in the sophisticated design language of Ndebele women, which has informed their homestead design, beadwork and painting. We look at this design language as art, but also in terms of the history and heritage that produced it. 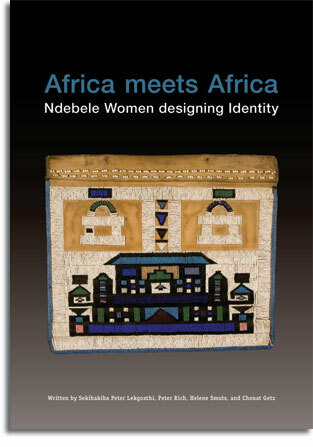 Then we go one step further and explore the elegant symmetry and proportion of Ndebele design, mathematically. 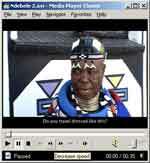 A 52 minute documentary film by Guy Spiller (script by Andre Croucamp) introduces Zimbabwean Ndebele speaker Siphiwe Khumalo, who comes across Ndebele painting for the first time in Johannesburg, and then investigates who the people are who made these colourful designs. She talks to academics such as Ndebele historian Dr Sekibakiba Peter Lekhgoathi of the History Department of the University of the Witwatersrand and architect Professor Peter Rich, who studied Ndebele homestead architecture. Siphiwe undertakes a journey to rural KwaMahlanga, Mabhoko and surrounds, to the homes of the master painters Esther Mahlangu and Francinah Ndemande and she attends contemporary Ndebele cultural festivals. She also talks to Mathematician Dr Chonat Getz, who explores the remarkable symmetry and proportion in the design language that Ndebele women use in their homestead architecture and painting. The 64 page book (in full colour) designed by Anina Kruger unpacks Ndebele the history of the Ndzundza and Manala Ndebele in more depth (and with reference to FET Phase Level National Curriculum Statement Learning Outcomes) critically engaging with both oral histories and written sources. Prof Peter Rich and Africa meets Africa Project Director Helene Smuts investigate Ndebele design in homestead architecture, beadwork and painting, also in relation to the history that informs it. In terms of Mathematics, Dr Getz measures up the symmetry and proportion of Ndebele design, translating tangible forms into abstract formulae, with reference to the National Curicukum Statement at FET Phase Level.